I used a real estate education website back in the day to help me get my license. They also offer an amazing amount of knowledge for you, a buyer or seller. Today, I’d like to share their links with you. Are you an interest rate / finance junkie right now? You won’t find a clearer explanation of what’s happening and what will happen, than right here. 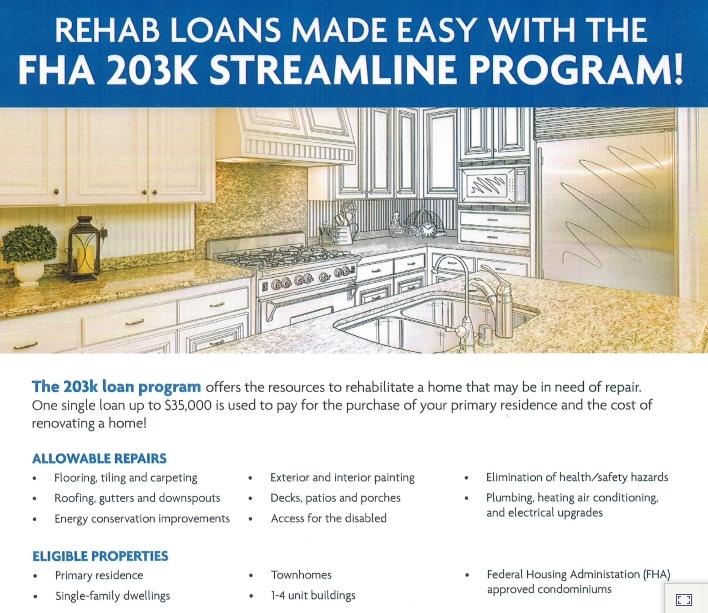 In addition, here’s an infographic explaining 203k loans.